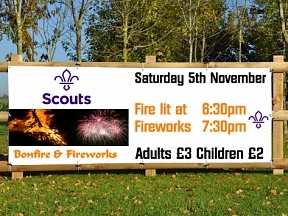 Scouts Bonfire & Fireworks PVC Banner. Use this outdoor grade PVC Banner to advertise the bonfire and fireworks celebrations of Guy Fawkes Night. 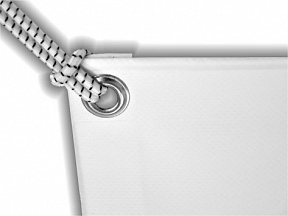 This banner is designed with the Scout’s logo, however the design can be changed and we can add any logos or change any text to fit your requirements. HFE don’t charge for design, so call our sales and design team today to get you very own banner design. No payment is made until you are 100% happy with your proof.